Over the past few weeks, the internet has been buzzing with rumours on iterative consoles and their predicted effects on the industry after the so-called PS4.5 was accidentally leaked following some conversations at GDC. Yesterday, Sony confirmed that the rumours are indeed true, and they’ll be releasing a more powerful PS4, currently working under the codename Neo. 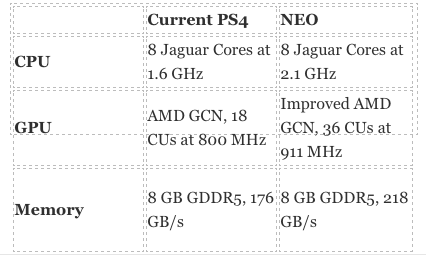 The Neo seemingly isn’t designed to replace the PS4, but more to run along side it offering players a chance to pay more for better performance in their games. Sony is taking plenty of precautions to make sure the player bases isn’t fragmented by this move and are enforcing parity on all games across the two systems in terms of features and modes. What does this mean? It means that Neo versions of games aren’t going to have anything exclusive over the base PS4 versions. No exclusive modes or content, simply better versions of what the base model offers. The example they gave was with local co-op. The Neo version cannot have local co-op if the base model doesn’t have it. However, if the base model supports 2 player local co-op, the Neo version could support 4 or more players. Every game released from October 2016 will require both Neo and base PS4 compatibility. All games released in September will require a day 1 patch to support the Neo. Anything before that is entirely up to the developers discretion, meaning later in the year we could see patches for games like Uncharted 4 that allows them to benefit from the extra power of the Neo. This won’t mean a separate disc or purchase for each system, it’ll still be one standard PS4 disc, but it does need to have assets for both versions. Assuming this also applies to digital games, this could potentially mean an increase in file size. We’ll need to see how that one plays out. As of yet, no price or release date is confirmed. It’s likely we’ll get this info at E3 but the requirement that all games from October are compatible does hint strongly at a holiday release, possibly even alongside PSVR. Check out our recent article about whether or not iterative consoles are good for the industry and let us know what you think. It’s one of the biggest shake up the console industry has seen to date, and certainly one we’re all going to be following. 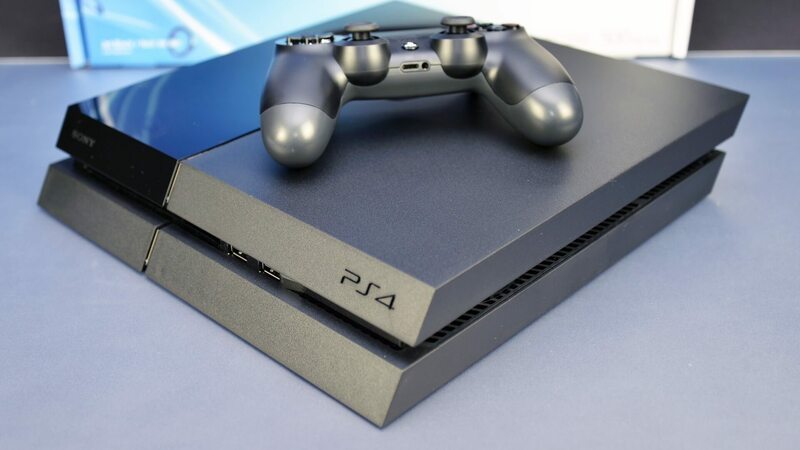 What do you think about the PS4.5? Are you getting exciting for more news? Let us know in the comments below. Ryan enjoys any and all games he can get his freakishly small hands on. When he’s not drafting 1-3 Arena decks, or scoring own goals with his Delorean, he can often be found scouring the web, keeping on top of the latest industry news and goings on.